This illuminated A4 LED Backlit Light Up Scratch Map will be an eye-catching addition to many living rooms, hallways or home offices. Simply scratch the countries you've visited on the map to reveal a rainbow of light and proudly display your globetrotting adventures. 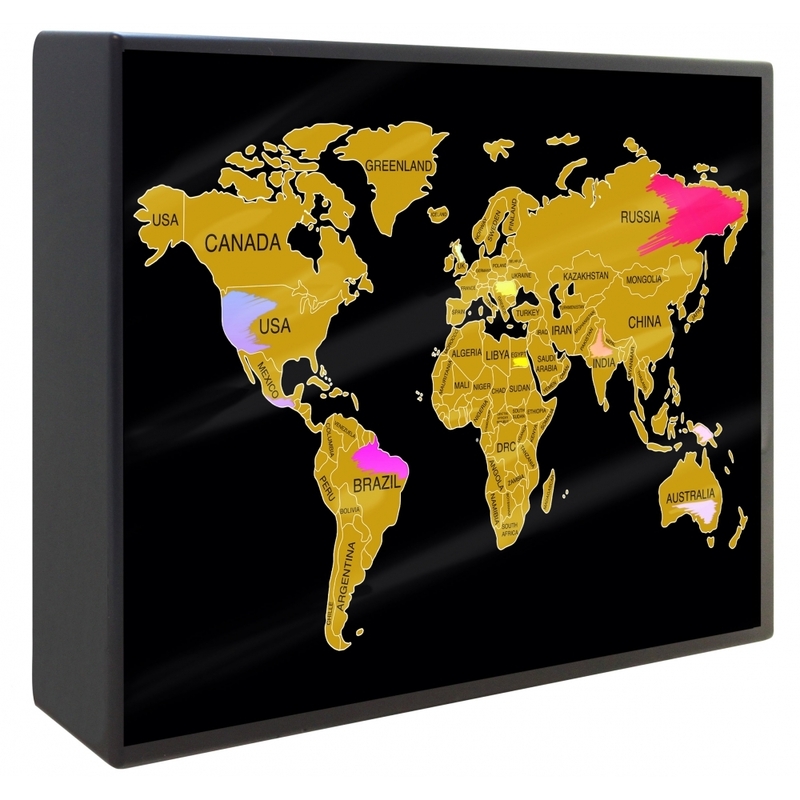 This stylish and fun world map light box can be either mounted on the wall or freestanding on a desk. It includes a micro USB power socket so can run directly from USB, or alternatively can be battery operated. A wonderful gift for a travelling enthusiast, perfect for almost any occasion.